Steam distilled spearmint essential oil from China. Chinese spearmint essential oil is not as sweet as American spearmint essential oil, but Aeracuras' Chinese spearmint essential oil has 77% carvone content, which compares quite well with her competitors. 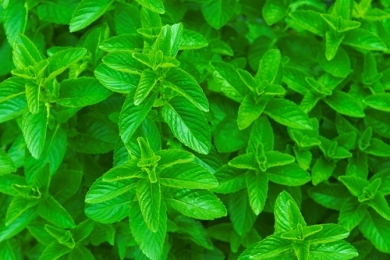 Spearmint essential oil is often used in soaps, as well as for flavoring food.